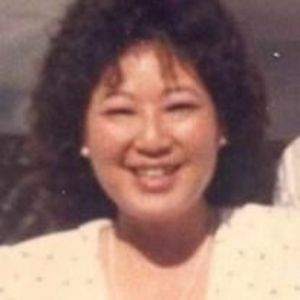 Laureen "Laurie" S. Sakai-Higley of Lihue, Kauai, Hawaii, passed away on October 6th 2015 at the age of 58. She was born on July 26th 1957 in Lihue, Kauai. She was a supervisor for Department of Human Resources with the State of Hawaii. Preceded in death by: father, Roy M. Sakai. Survived by husband, Michael Higley; daughters, Alohalani (Kiele) Higley, Farren Higley; son, Quintin (Elisha) Sakai-Higley; mother, Patsy Sakai; sisters, Kristine (Ceaser) Jardin, Carlene (Galen) Oshiro; 3 grandchildren; numerous aunties and uncles, nieces, nephews, cousins, and friends. Celebration of Life - Saturday October 31st 2015 at Borthwick Kauai Mortuary Chapel, Koloa. Visitation at 10:00am and service at 11:00am.